With comment threading, it’s even easier to know which ones you’ve missed on your posts. 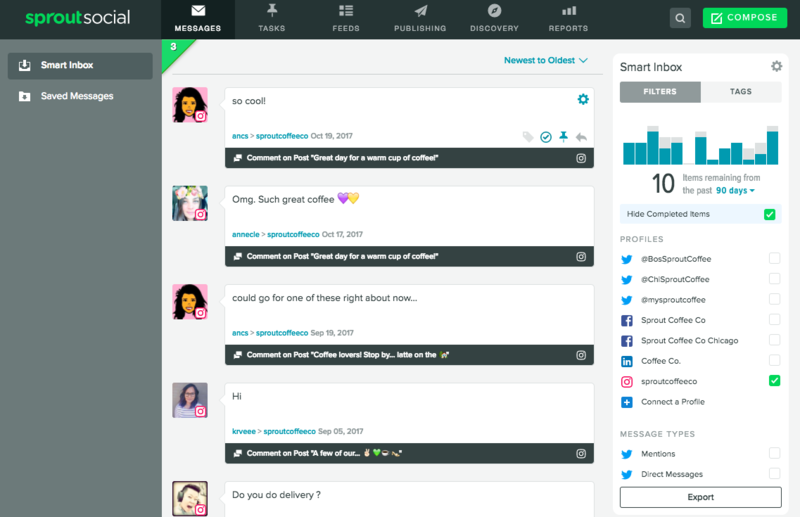 Not to mention, Sprout Social’s Smart Inbox can help you easily check off comments you’ve already responded to. You can still Like comments or just try to reply to as many as you can. Ted Chin creates captivating edited images and videos. Despite having hundreds of comments on each post, he still takes the time to engage with his followers as much as possible through quick replies and plenty of emojis. 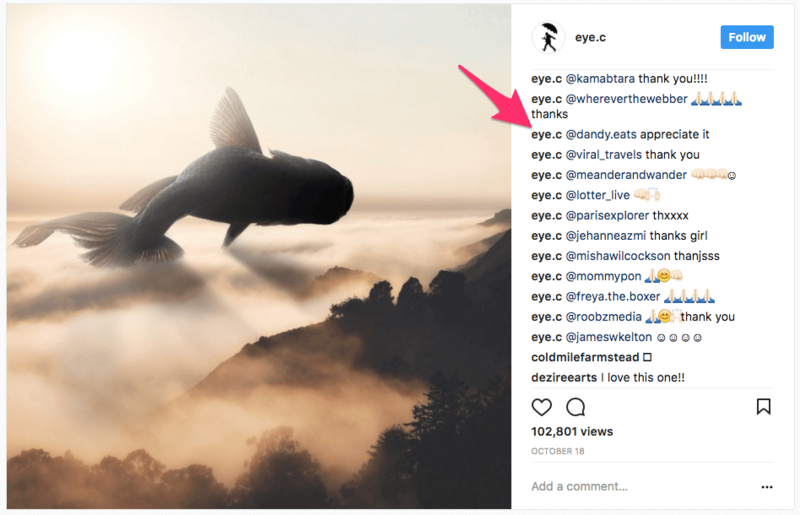 The takeaway is whether you get three comments per post or 300, take the time to reply and you’ll have a much easier time getting Instagram engagement. 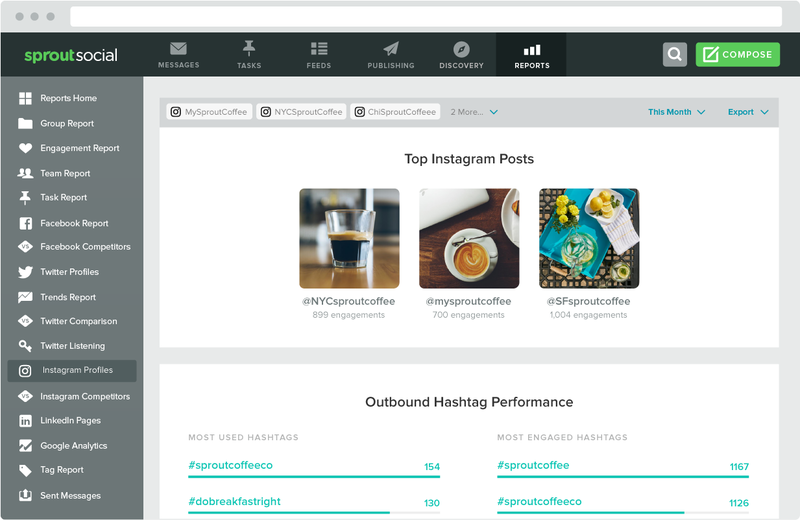 Use our Instagram dashboard to find your top-performing posts. Then look for commonalities between the posts and try to incorporate more of them in the future. 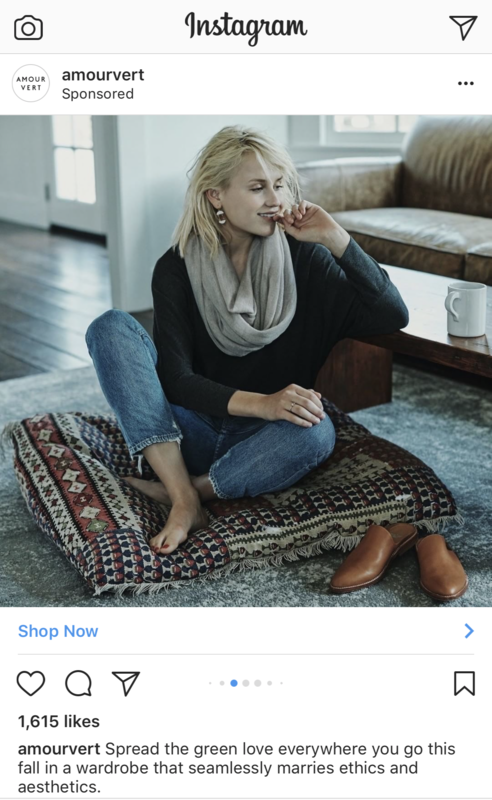 Anthropologie uploaded images specifically designed for the Stories format and themed it around pants. Each product had a See More link at the bottom that people could instantly go to for a purchase. 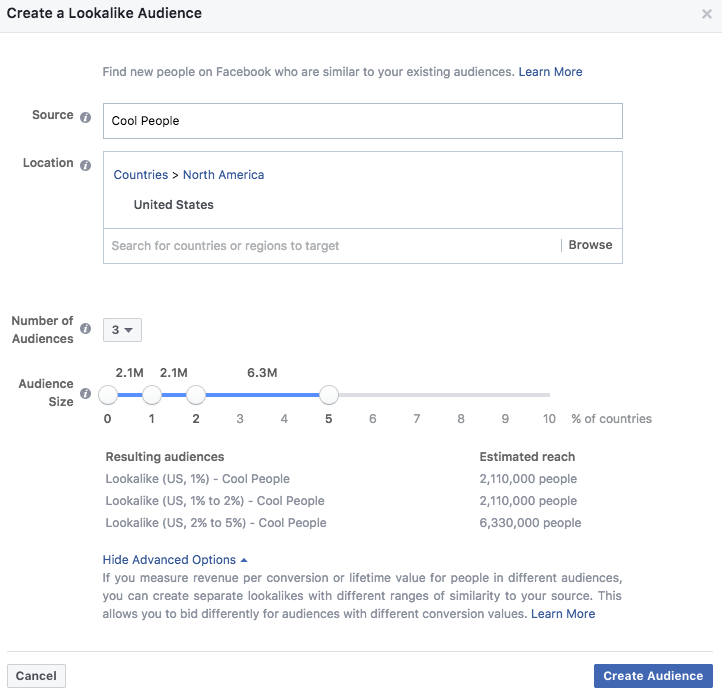 It goes without saying that the audience for your Facebook Page might not be the same as the audience on your Instagram account. Chances are that some of your Facebook audience is on Instagram, but they just don’t know that you exist there yet. Don’t be afraid to sprinkle some cross-network promotional posts to encourage more followers. Dwell used a Facebook post to not just promote a home tour, but also to mention that more details could be found in their Instagram Stories. Instead of the usual “Follow our Instagram account!”, they offered something more enticing for their audience. For their existing Instagram fans, the live tour was still interesting content. 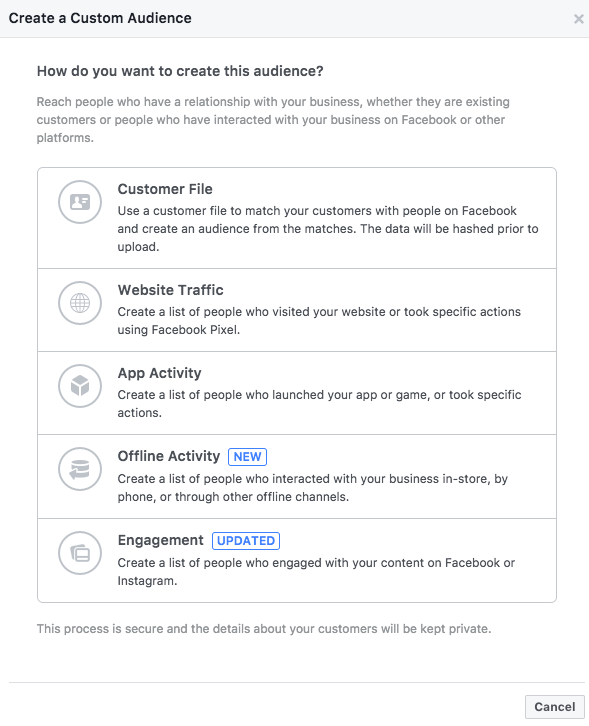 When Facebook added Instagram into their Ads Manager, new targeting possibilities opened up. Sure, you can boost a post or promote your account, but you could also be more nuanced and strategic about it. Take advantage of the customization by using retargeting and custom audiences. For instance, if you visit a shoe company like Toms and begin to interact with their posts, it’s possible that you’ll begin to see other shoe companies being advertised to you. Away partnered with photographer Gray Malin for a limited-edition set of luggage colors. The luggage lining used is one of his photographs. Naturally, the product promotion involved Instagram posts, dedicated hashtags and in-store signage. Use our Instagram reporting to find out when the best time to post is for you. You want to post when most of your followers are online and engaging on the app. Even with the best photo and wittiest caption, you could still miss out on engagement if you’re posting at the wrong hour. 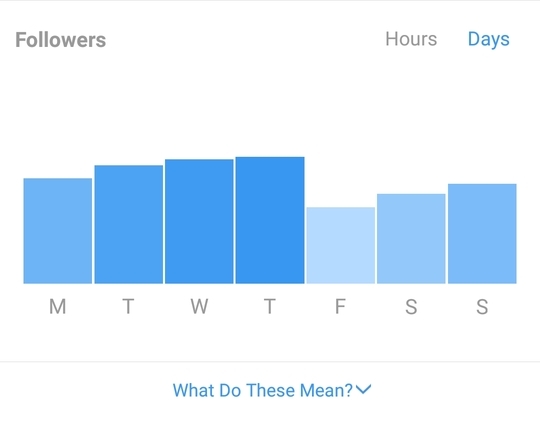 Instagram business accounts offer analytics that tell you when your followers are most active. Use this information to schedule out your posts so you can spend your time engaging. Alternatively, you can use Sprout Social’s ViralPost feature that automatically schedules Instagram posts to when you receive the most engagement. Here’s something you might not have thought about. But there’s a good chance your competitors are analyzing your brand and others in your industry. So why not do the same? Don’t feel like manually gathering up a bunch of data about your competitors one by one? 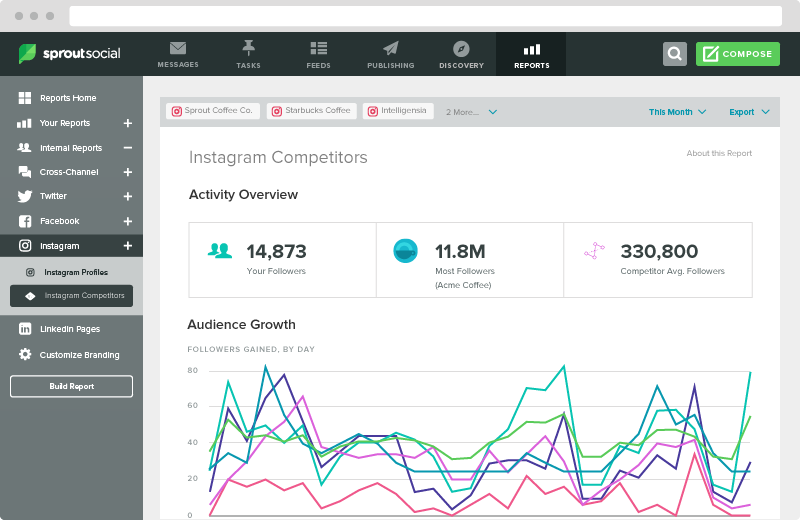 An easier solution is to use our Instagram Competitors report. All you have to do is add the profiles for your top competitors and Sprout will analyze data such as audience growth, engagement and their most used hashtags. Breakdowns can even be viewed per day, offering you an easy way of knowing if you should kick your marketing up a notch. By liking posts and leaving thoughtful comments—not self-promotional, but substantive—brands can use Instagram to cultivate a stronger community and drive brand awareness. 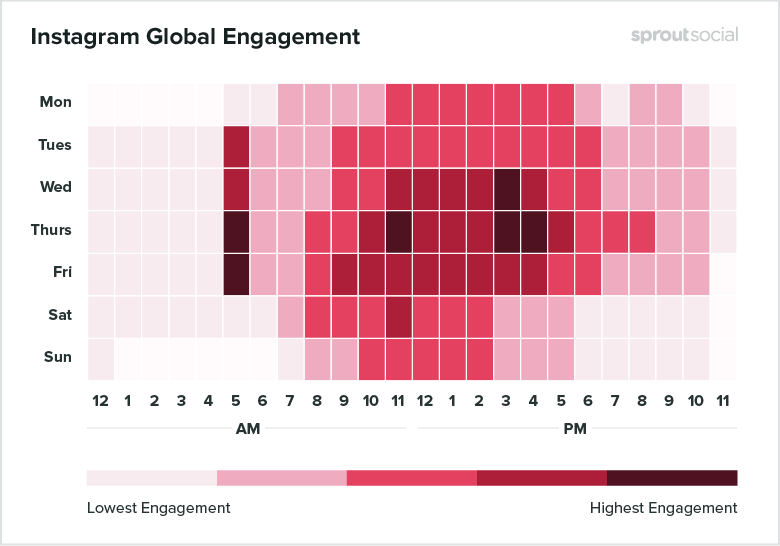 Users can quantify and qualify their engagement efforts using Sprout’s Instagram data. Learn more about Sprout’s Instagram management tools here.